A UK report published today shows that involving people in their railways leads to more passengers, improved stations and stronger communities. 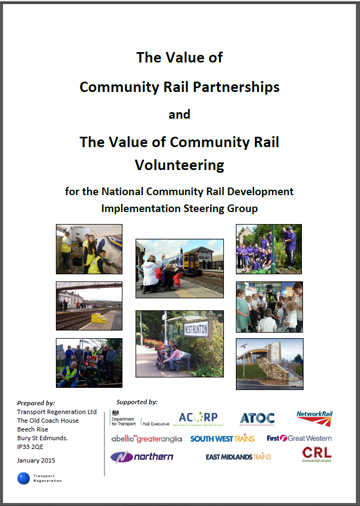 The report – which highlights Citizens’ Rail and the contribution of the EU Interreg IVB programme – shows that local routes with Community Rail Partnerships (CRPs) are seeing a higher growth in passengers than other local routes, while volunteer station adopters are making a real difference by transforming local stations into a pleasing environment. •	2.8% additional growth on community railways compared to regional lines. •	CRPs add value and ‘pay for themselves’. •	Station adoption leads to improved station environments and stronger communities. The research was commissioned by the UK’s National Community Rail Development Steering Group. 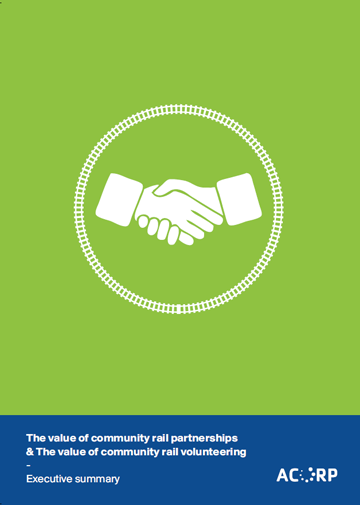 This partnership comprises central and local government, infrastructure owner Network Rail, the commercial sector Association of Train Operating Companies (ATOC) and the voluntary sector Association for Community Rail Partnerships (ACoRP). CRPs were first developed in the 1990s and the National Community Rail Strategy was launched in 2004. This report shows that the Department for Transport, train companies, Network Rail, ACoRP, CRPs and station adopters contribute to a continuing renaissance in regional rail travel, with local routes and the stations along them thriving – in some cases surpassing previous record levels of patronage. The Citizens’ Rail project represents an expansion and next step for this success story – involving French, German and Dutch partners to learn from and build upon the UK’s track record of involving people in local and regional railways.